Over the last 40 years, RJ Daigle and Sons have grown into a leading highway construction and site development contractor in South Louisiana. 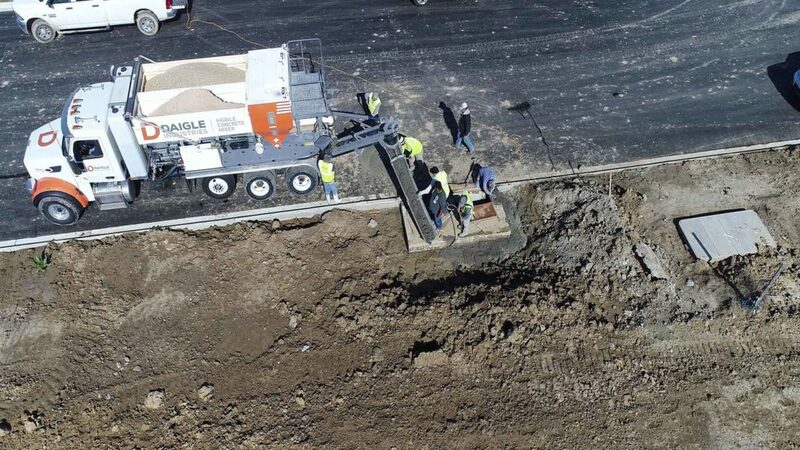 Their need for quality and timely concrete grew right along with them and eventually, scheduling of subcontractors and Ready Mix became so difficult Ronnie, Vance, and Nick Daigle started looking for alternatives. 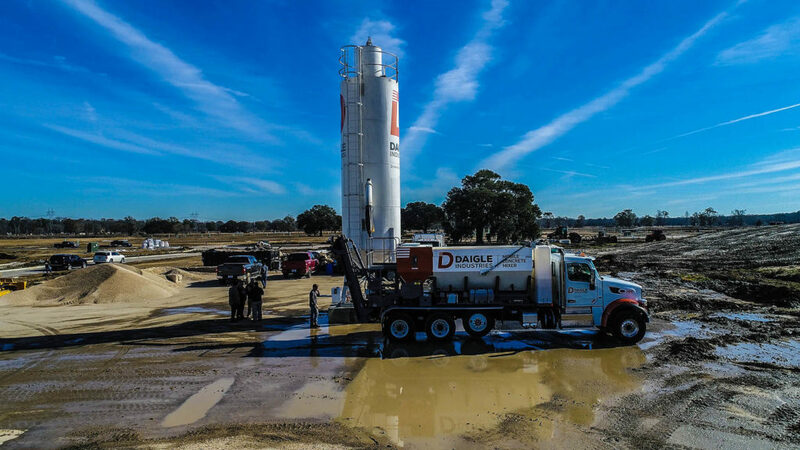 Volumetric concrete mixers fit right in with their asphalt business and today RJ Daigle and Sons in Baton Rouge, Louisiana, runs multiple Cemen Tech C60 mixers. Read more from Nick Daigle about how volumetric mixing made a great addition to his family’s asphalt business. Most of the projects that we build have curb and gutter and other forms of concrete paving. In the past we would sub this work out, but the quality of the work and the availability of the subcontractor did not meet our standards. We then tried to self-perform the work with Ready Mix trucks. This was also a struggle. Getting the Ready Mix company to send trucks when we wanted them and keep enough trucks on our job was the first challenge. The second was having the concrete at the right slump to meet our needs. Our success in the asphalt paving business has been due to our ability to control the asphalt design, production, and transportation. We decided to take that same approach in the concrete division. With our Cemen Tech mobile mixers we control all of our concrete design, production, and transportation. How has having Cemen Tech mixers changed your business? Cemen Tech mobile mixers have given our concrete division the ability to control their concrete and meet the needs of our paving crew. The mobile mixers supply as much concrete in a day as the crew needs. The slump can be adjusted to exactly what our paving requirements are without delay or hassle. Owning our own mobile mixers also gives us more control on their location and the ability to prioritize our own jobs rather than wait for someone else to come to us. What were you most worried about when starting the process of adding concrete to your business? How did you see the impact on your business? Our biggest concern was whether we could supply enough concrete to our paving crew to keep them productive. The answer is yes. We can supply enough concrete to keep our crew performing at a very high level. As we become more comfortable with the trucks, our productivity has increased and so has the quality of our product. How did you choose Cemen Tech? And what set us apart from competitors? We did extensive research in deciding whether to invest in a concrete plant or mobile mixer. Once we decided on mobile mixers, even more research was done to determine what company and truck would fit our needs best. We chose Cemen Tech because of their extensive service department. Being based in the USA was a huge part of that because it meant parts could be shipped same day and not have to go through customs like some of its competitors. When I called customers of Cemen Tech everyone was very pleased with the product, the support, and the resources that Cemen Tech provides to its customers.